Hey, I got this plant. Is it okay for.my chameleons cage? Also, what about coffee plants? What species of cham? Not all of them chew on plants and get the plant material into their mouths, but the plant could ooze some sort of irritant sap if the cham's climbing breaks stems or fronds a lot. IMHO, it's probably more important to choose plants based on whether or not the palm will handle the relatively low light level in the cage (as opposed to full sun outdoors), will hold water droplets well and whether your cham will be able to climb around on it without losing its grip, poking its eyes on tips of the fronds, or its feet and claws damaging the palm. 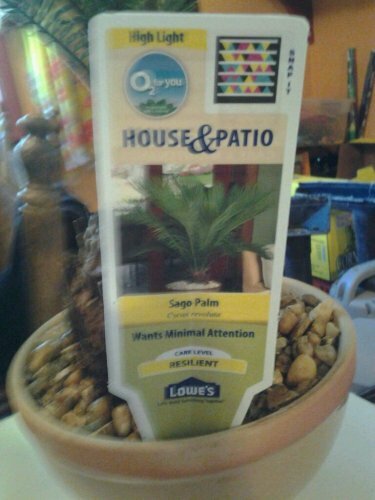 See my other comment about the sago palm. The cage climate's effects on the plants may be more important than the plant's toxicity. Sago palm is very toxic to dogs. I'm not sure if it is the same in reptiles but I wouldn't risk it. Plus, your cham won't appreciate a sago palm - they won't be able to really climb on it due to the pokey fronds and the other reasons Carlton said.